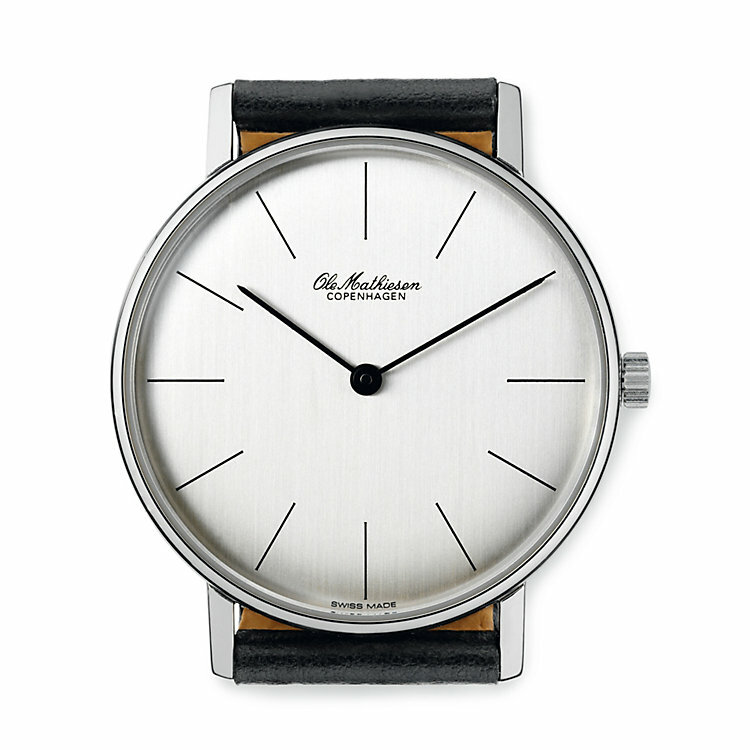 Since 1962 the Copenhagen watchmaker Ole Mathiesen has been crafting watches whose clean-cut appearance has long been held up as a peerless example of superb Danish design. Indeed, one of its exclusive outlets is the shop attached to the Museum of Modern Art in New York. We now offer the OM8 watch, which Mathiesen – who for a while only used quartz for this model – has now equipped with a hand-wind mechanism specially designed for us: the ETA 7001 (thickness of mechanism 2.5 mm, 23.3 mm dia., 17 stones, 21.6000 A/h), 44 hours' reserve movement). 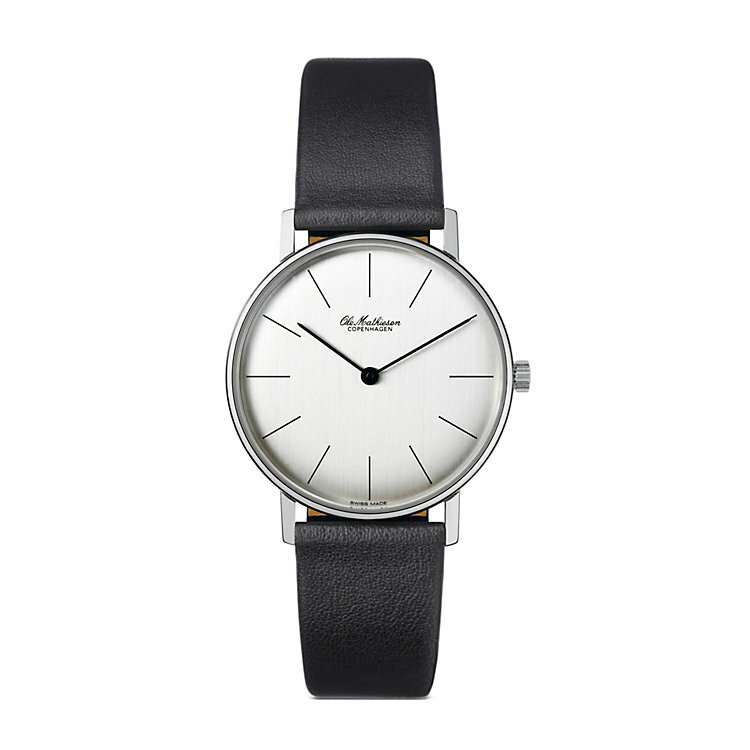 Stainless steel casing 35 mm dia., silver-plated brass line markings on dial. Sapphire glass. Black calfskin watch strap. Weight with strap 28 g.